A few days ago Lotta shared this fun item in the discussion forums. Now she is here today to share it on the blog in case you missed it. Take it away Lotta. What kid doesn’t like a colouring book? Sure some may not, but I’ve yet to meet a child who doesn’t. Sooner or later, most kids will also start having decided ideas on what they want to wear. So I thought why not combine the two and make a coloring book of the Oliver + S line drawings to let them in on the process. My girls have loved coloring in the dresses and skirts, dreaming up all sorts of cool designs for me to make them. When I posted the link to the forum the user Sherry (@mim22) had a great idea to print them onto card stock and cut out inside the lines to make them into sort of cookie cutters you can place on top of fabric swatches to give the child an idea what the dress, skirt or shirt will look like. It’s definitely on my list of things to do. My oldest have outgrown the largest Oliver + S sizes by now, but she still likes to sit down and use the line drawings to color in to pass the time on a rainy afternoon. I hope your children will, too! You can download the PDF from my blog. I posted pictures to Instagram and used the hashtag #coloringoliverands (#colouringoliverands if you prefer). I’d love it if you do that, too! What a wonderful idea. Thank you so much for sharing! This must have been such a lot of work, thank you so much! Love it! I’m thinking about how easy it would be to turn this into paper dolls. 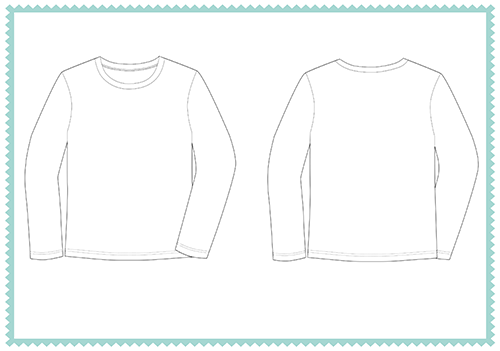 Just cut out the kids from card stock, and add tabs when you cut out the clothes. Or maybe use a re-stickable glue stick? You’re awesome Lotta. Thank you so much for sharing this. 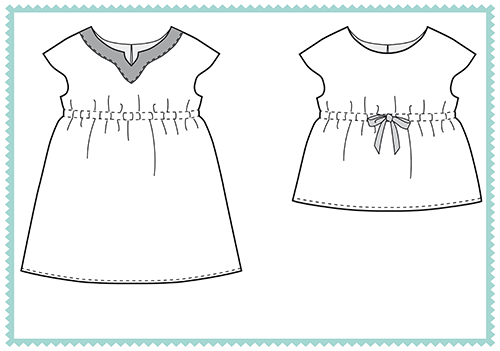 It’s really helped Missy see past fabrics and look at the line drawings. This must have taken forever. Thank you. Great job, Lotta! Such a fun idea. I’m thinking wall art. Oh, is this supposed to be for kids?! Ha. This looks like an ideal KCW planner to me! This is great!! Thank you!! Thank you! My daughters are thrilled!